Picked up a few pieces to start the new Autumn season - keeping to my classic autumn/winter monochrome and grey colour palette and introducing some pops of leopard and burgundy. 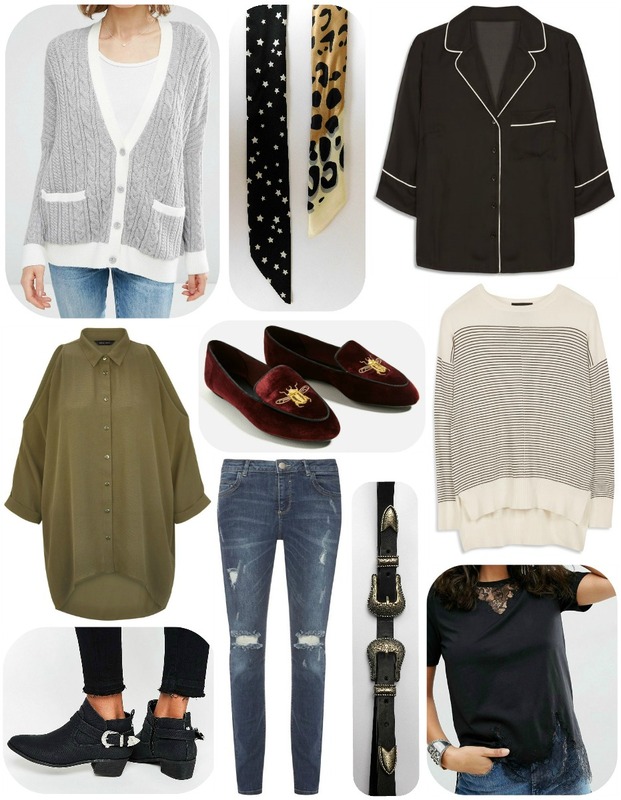 Some great high-street pieces from New Look, ASOS, Zara and Primark (who have upped their game this season!). I love the oversized styling of this cardi, the knit detailing and the gorgeous pale grey and white colour combination. I was also so surprised just how so soft it is, especially as it is just a polyester mix. Ideal for wearing with my skinny jeans and a tee for casual days. Wanting to get in on the star print trend, but in a subtle way. This skinny scarf offers a touch of rock chic to a simple outfit and looks great styled with my khaki utility jacket. The newest addition to my accessories collection - again i wanted to try the neckerchief trend but hate the 90's bandanna print that most seem to come in. Spotted this one yesterday and loved the ombre base colour and statement leopard print. Plus a versatile piece - can wear as neckerchief, as a headband or tied onto my handbag. A dressier shirt option, smartening up my ripped jeans. Love the neckline too, nice not to be buttoned up to the neck. Actually bought this in navy with white trim but can't find an image, so substituted the black. Simple, long-line shirt that looks great with skinny jeans. Lightweight enough for a warmer day but can be layered up with knitwear when it gets colder. My favourite addition so far, very Gucci. Sumptuous velvet, in a gorgeous burgundy shade (my favourite for Autumn) will add some much needed colour and texture to my very monochrome wardrobe. Will be styling up with jeans but will also work with a dress/skirt with black tights without looking too party. Easy basic piece, a winter alternative to the traditional Breton tee. Great for wearing with jeans but also looks cute with my little suede button down mini from last year. I love lightweight knits as they are so easy to layer up. As you may have seen in my Look for Less boots post - i have been looking for a western buckle style pair of boots but didn't want to spend a fortune. This ASOS pair are just what i wanted, flat so will be comfy for walking but still styled enough to wear with dresses. I love the aesthetic of these boots, the combination of texture and chunky hardware create something a little different. New pair of jeans needed, normally live in black jeans but wanted to try a more traditional denim but not spend a fortune. These fit lovely, my only comment would be that these were clearly designed for a tall person, the knee rips are no where near my knees! Had the ASOS £20 version of this belt sat in my saved items for weeks but when i saw this Primarni version i couldn't resist - almost identical at a fraction of the price. A nice accessory to help style my favourite summer dresses into Autumn. Channelling my inner goth, a simple black tee with intricate lace detailing around the bottom and neckline. An elevated classic making a casual outfit look more pulled together. 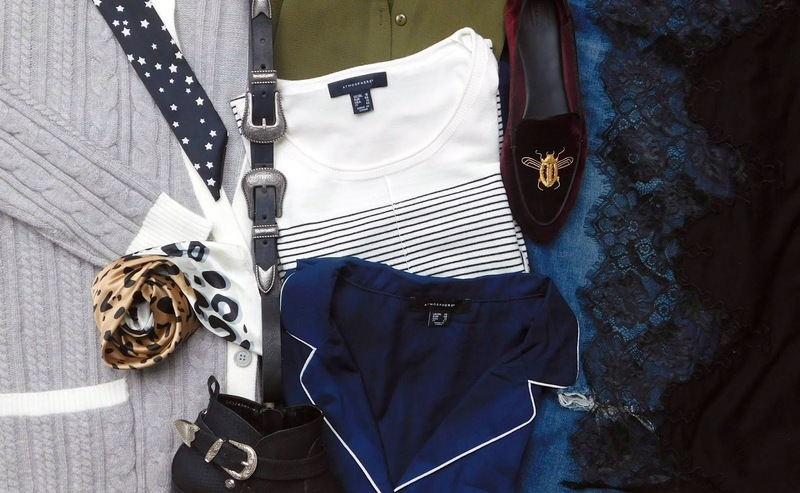 Any new additions to your autumn wardrobe?